Above and Beyond Home Improvement is your Albuquerque source for new roofing, roof repair and re-roofing. Albuquerque’s climate is hard on roofs, so whether you need leaks repaired or want to give your home a face lift, new roofing is a great way to do it. Above and Beyond has a touch for customer service as only locally owned businesses do, combined with extensive experience that will ensure your finished product is lasting, beautiful, and affordable. 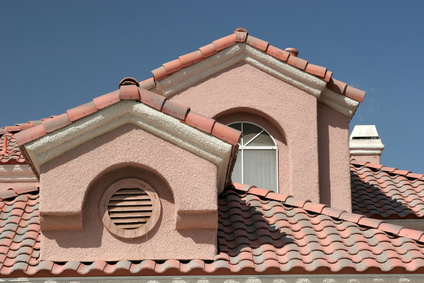 Is your pitched New Mexico roof living up to your expectations? Maybe it’s time to make it feel brand new by replacing any broken or damaged shingles. From tile to asphalt, shingle replacement can cut back on the cost of a total re-roofing project! Classic flat roofs are beautiful, but often problematic. If you have a traditional flat roofed home in need of re-roofing, Above and Beyond Home Improvement has a number of options to get your house where you want it to be. Whether you need rubber, or tar and gravel re-roofing, we’re sure we can get the job done quickly and cost efficiently. Modern tile roofing can take your house to a new level of elegant. Finished tile roofs can be very beautiful, but as they start to get damaged their visual appeal goes away. If you want your house to sparkle, consider replacing your damaged tiles, or make it a bigger project and have your roof completely re tiled, it won’t go unnoticed! Call us for a free estimate on any roof installation or repair!